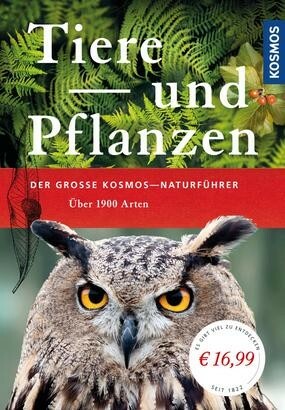 Product information "Der große Kosmos-Naturführer Tiere und Pflanzen"
The reference book about nature now completely new: new text, new photos and additional detailed drawings for more than 1,900 animals, plants and fungi – this is pure biodiversity! With more than 2,400 illustrations, plus much worth knowing and information about characteristics and occurrence. Here you'll find everything that can be explored in the home and garden, during walks, hikes and on vacation. The Kosmos colour code guarantees rapid access to the groups of species. Which Medicinal Plant is That?